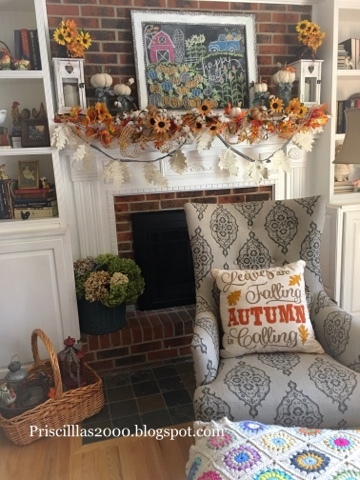 The mantel is all decorated for Fall.. 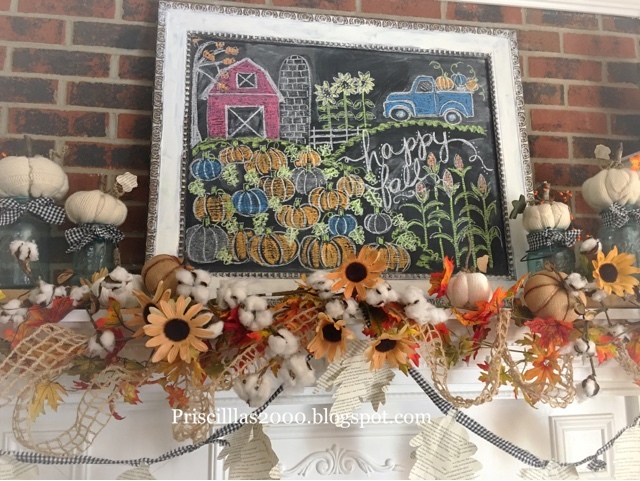 I started with the chalkboard ...and drew a scene from a Fall farm.. look at that cute little vintage truck and barn! Stalks of Indian corn and a huge patch of pretty pumpkins! 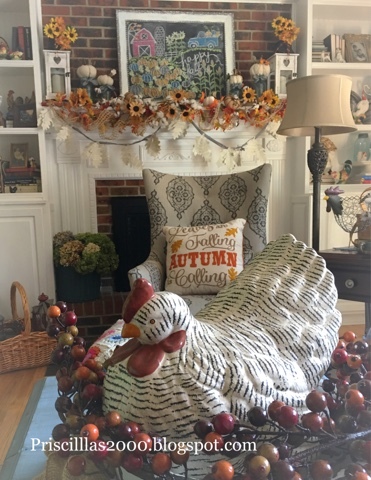 I used 2 leaf garlands, a garland I made from leaf shapes cut from book pages, burlap lattice ribbon and cotton branches... I also added in a few sunflowers ..
Hi Priscilla! Oh I love what you've done with your mantel. You are just the best decorator and I can't believe how many cross stitch piece you finish! I've put mine on hold for a while as I'm in to my miniatures at the moment. This looks wonderful! How did you attach the leaves on the ribbon garland? Fabulous looking Mantel. 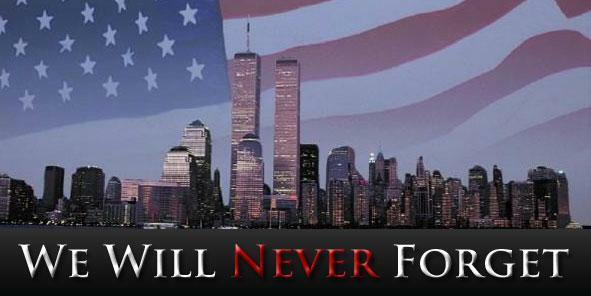 9/11 will never be forgotten. I absolutely love your chalkboard! !